In 1936, the French Air Ministry issued a specification for a flying boat able to carrying at least 40 passengers and 1,100 lb (500 kg) of cargo 3,725 miles (6,000 km) against a 37 mph (60 km/h) headwind. This large passenger aircraft was to be used on transatlantic service for both the northern and southern routes. In 1938, three projects were selected for prototype construction: the Potez-CAMS 161, the Lioré et Olivier H-49 (which became the SNCASE SE.200), and the Latécoère 631. The 2,000 hp Clerget 16 H with four Rateau turbosuperchargers atop the engine. In between the cylinder banks is the camshaft housing. The new transatlantic airliner would be a large aircraft, necessitating powerful engines. Pierre Clerget felt an entirely new engine was needed to power this aircraft. Clerget, an aircraft engine pioneer who had already designed and built a few diesel aircraft engines in his long career, decided to capitalize on the inherent safety and efficiency of a diesel engine. Diesel fuel offered an increase in fuel efficiency and was far less prone to accidental ignition, eliminating much of the fire risk common in early aviation. Clerget spent much of 1937 designing the engine, and what emerged was a powerful V-16 diesel engine known as the Clerget 16 H. Because of its 16 H designation, the engine is often assumed to be of an H configuration. However, the “H” most likely represented “Huile,” a French word for oil, as diesel fuel is a type of fuel oil. The four-stroke 16 H engine was first displayed at the Paris Salon de l’Aviation (Air Show) in late 1938. The 16 H had a bore of 7.09 in (180 mm) and stroke of 7.87 in (200 mm). The engine’s total displacement was 4,969 cu in (81.43 L). 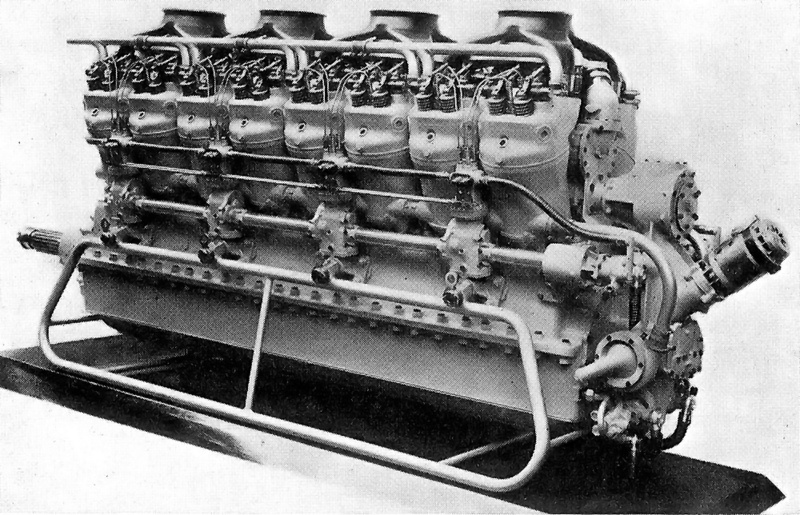 The 16 cylinders were arranged at a 45 degree angle in two banks of eight cylinders. The compression ratio was 14 to 1. The direct drive engine had individual aluminum cylinders with a steel barrel for the aluminum piston. The exposed four valves per cylinder were actuated by roller rocker arms and short pushrods from the camshaft, that was situated in the Vee of the engine. The camshaft was driven from the crankshaft via a vertical drive shaft at the rear of the engine. The diesel Clerget 16 H showing the fuel injection pumps along the side of the engine and various accessories at the rear of the engine. Fuel injection for each cylinder was provided by two Clerget injection pumps and two Clerget hydraulically-operated injectors. Groups of four pump units (to supply two cylinders) were arranged on the outside of the engine, with a total of four such groups on each side. The pumps along each side of the engine were driven by a camshaft running at half-engine speed. One complete set of pumps could be shut off for operating the engine at low speeds. Fuel was injected into the cylinder at a maximum of 8,500 psi (586 bar). The 16 H used a two-piece aluminum crankcase. The single-piece crankshaft had eight throws and was supported by nine main bearings. Connecting rods were of the master and articulated rod type. Pressure lubrication was provided by a dry-sump system, and each bank of cylinders had its own water-cooling circulation system. Starting was achieved by an air-starter unit attached to the rear of the engine. 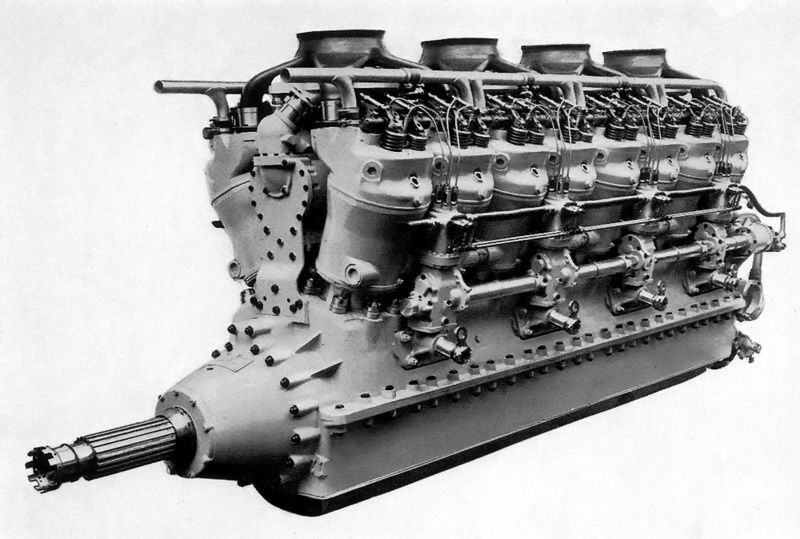 The engine was 31.5 in (.8 m) wide, 49.2 in (1.25 m) tall, and 112.6 in (2.86 M) long. The 16 H weighed 3,750 lb (1,700 kg). Four Rateau turbosuperchargers sat atop the Clerget 16 H engine. Each turbocharger served four cylinders (two on each side of the engine). The turbine spun by exhaust gases from the cylinders was at the top of the turbocharger, and the compressor that supplied air to the cylinders was at the bottom of the turbocharger. The turbochargers allowed the 16 H engine to maintain power up to 16,400 ft (5,000 m). An early image of the Clerget 16 H without turbochargers. First run on 17 May 1939, the 16 H could produce 1,500 hp (1,119 kW) without the turbochargers. With the turbochargers, the engine produced 2,000 hp (1,491 kW) at 2,200 rpm for takeoff and 1,600 hp (1,193 kW) at 1,800 rpm for continuous cruise. At cruise power, fuel consumption was 0.375 lb/hp/hr (228 g/kW/hr), and oil consumption was 0.020 lb/hp/hr (12 g/kW/hr). With the German invasion of France on 10 May 1940, engine development and the transatlantic passenger seaplane were put on hold. The sole Clerget 16 H engine was destroyed during a bombing raid on Paris in 1940. There were some rumors that the engine was moved to Germany before the bombing, but nothing ever came of this. In October 1940, there was interest in building another 16 H, but no further development was undertaken. Pierre Clerget continued to work on other aircraft engine designs but was found dead in the Canal du Midi in Moissac, France on 22 June 1943—a sad end for a remarkable man. The cause of his death has never been explained. 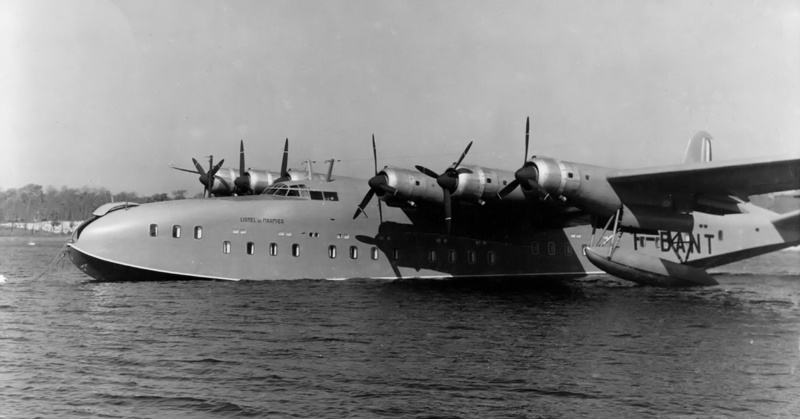 The Germans restarted the transatlantic passenger seaplane program in March 1941, and an example of each prototype had been completed and flown by the end of 1942. These aircraft were subsequently destroyed in Allied bombing raids. After World War II, ten examples of the Latécoère 631 were built, each powered by six 1,600 hp (1,193 kW) Wright R-2600 engines. The aircraft entered service in 1947 but would not last long. After four of the Latécoère 631s had crashed in separate incidents, the remaining aircraft were banned from flying in 1950. The inspiration for the Clerget 16 H: the transatlantic flying boat airliner. This Latécoère 631, named Lionel de Marmier after the French ace who served in WWI and WWII, disappeared over the South Atlantic with all 52 on board on 1 August 1948. This entry was posted in Aircraft Engines, Between the Wars, Diesel Engines on 22 April 2013 by William Pearce.